The Tahoe Yacht Club will host four days of racing as the U.S. Laser National Championships gets underway on Thursday, July 20. 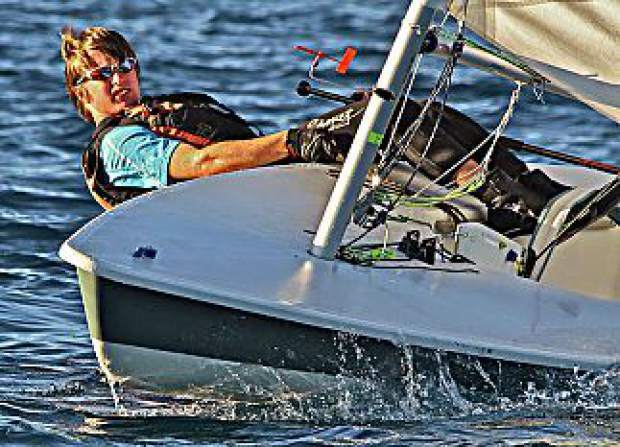 For the first time in its 92-year history, the Tahoe Yacht Club will host the U.S. Laser National Championships, bringing roughly 100 sailboats to the lake to vie for the title over four days of racing. The racing is scheduled to begin on Thursday, July 20 at 2 p.m., and will run in conjunction with the U.S. Sailing Singlehanded Championships. As of Wednesday, July 12, nearly 90 boats had registered with sailors coming from as far away as New Jersey and Canada. The event is open to any sailor with a laser boat and registration will remain open up until July 19 at a cost of $250. Laser class sailboats are roughly 14 feet in length, and will be sailed by one person for the National Championships. The Laser is also one of seven classes of sailing in the Olympics. The races are broken down into categories of Laser Standard, Women’s Laser Radial, and Men’s Laser Radial with trophies being handed to the top three finishers in each field. The Radials will have a separate start, and have over 50 registered sailors for the events with more expected as race day approaches. The National Championships will kick off with a practice race on Wednesday, July 19 at 4 p.m., which will then be followed by a welcome reception. From there, the fields of sailboats will take part in four days of racing in an effort to claim a national title. A trophy ceremony at Pomina Park in Tahoe City on Sunday, July 23, will cap off the event. For more information on the races or to register, visit tahoeyc.com.